I complain about Instagram 25658767098 times a day…. but I’ll never quit it (as long as it’s around) for one reason. Because of people like Jennifer Bravo. You see, this remarkable lady and I would have never met if it weren’t for the good ol’ gram. And then I never would have gotten to view her magical Maine world, complete with drool-worthy food, charming scenes and the most adorable daughter ever, through her stunning (and recently self-taught, I might add) photography. Or been in awe of her mouth-wateringly delicious yet approachable dishes (I’m dying to make this fall recipe that she just posted!). And discovered someone who loves hunting down a good vintage piece as much as I do. Or come to understand and admire her completely real (and realistic) approach to health and wellness (Yes, she’s a certified health coach, too! I mean, what can’t this woman do??!). Or found myself in Portland, Maine, on a self-imposed restaurant/bar crawl, chatting (over lots of food and tequila cocktails, of course) and laughing endlessly (see last two photos in this post for proof) with this lovely, kind, brilliant, creative and intelligent (among so many other things) human, that I am somehow now fortunate enough to call a friend. 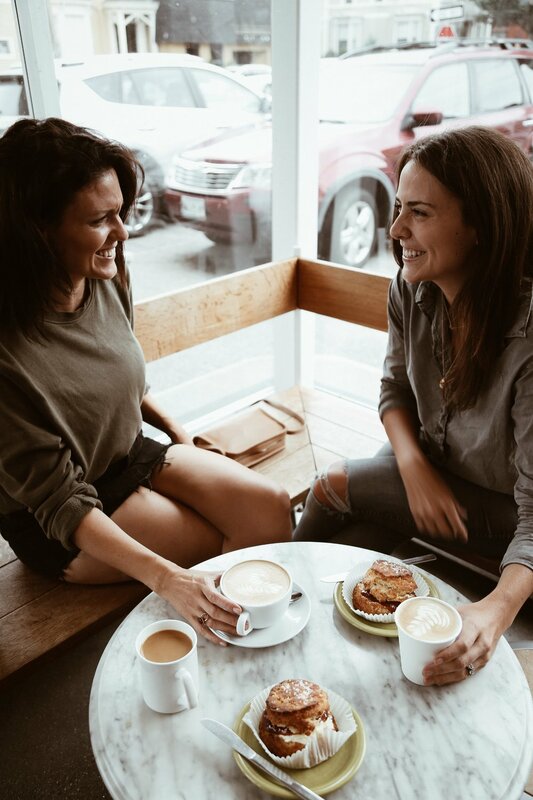 Lucky for you, she agreed to also be the first ever Local Love feature, giving you an insider’s scoop to Portland, Maine, the place she calls home. 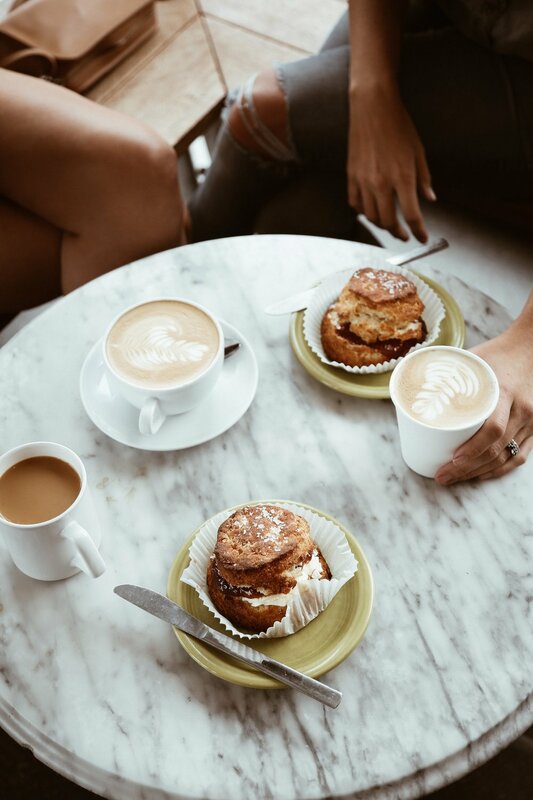 And lucky for me, she agreed to meet for these photos at one of her go-to spots, Tandem Coffee, where she introduced me to only the best biscuit I have ever put in my mouth. Below, found out more about this remarkable gal, where you can find her contributing to the local Portland community, and some of her go-to local (women owned!!!) spots. What are some of your favorite local businesses or artisans to support + why? Oh man. There are so many I could go on for days. My favorites without fail are: Amie for beautiful gifts that are made by female artisans. Campfire Studio for my favorite mugs (and all other ceramics). Portia’s Barn and Flea-for-All for vintage home decor. Corey & Co, Bliss and South Street Linen for clothes. Always Piper for bedding. I could go on because there are so many, but I should stop to say that yes, every single shop mentioned above are owned by women. 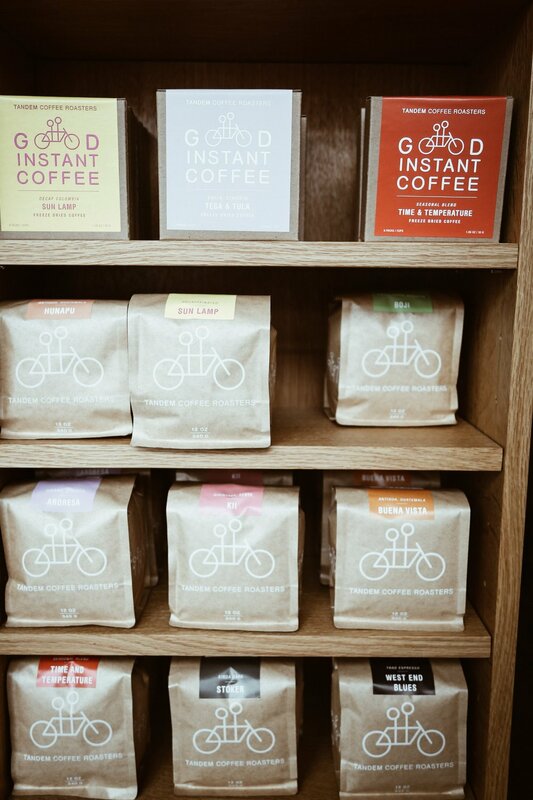 where is your go-to coffee spot and what do you always order? Tandem Coffee hands down. I always order a latte - hot in the winter, iced in the summer - and a loaded biscuit (a yummy salted biscuit with heaps of butter and jam oozing everywhere). For more from this wonderful woman, make sure you take a peek at her beautiful blog, give her a follow on social media (Instagram + Pinterest) + subscribe to her newsletter to stay up-to-date on all the impressive things she’s doing in Portland and beyond! My business is Portland Health Coaching and Bravo!Jenny Blog. I am a recipe developer/food photographer, and a certified Health Coach. I develop recipes for my website as well as for clients ranging from locally known companies such as Oakhurst Dairy to internationally recognized brands such as Whole Foods Market. Additionally, I contribute recipes regularly to a beautiful in-print and digital publication called The Inspired Home Journal. When I’m not cooking or snapping images, I see my Health Coaching clients at my office at the Integrative Health Center of Maine. My anti-diet, body-positive approach can be found across all areas of my work and is a message I’m extremely passionate about sharing with the world. what’s your favorite thing about your local community? The breadth and depth of creatives that exist here, the restaurant scene, and the kick-a** women who own more small businesses here than any other city in the country. Three not to be missed spots in Portland. I always love grabbing a drink at Bramhall. A bagel and a beach walk at Scratch Baking/Willard Beach. And a burger at Little Giant.